What’s good everybody! 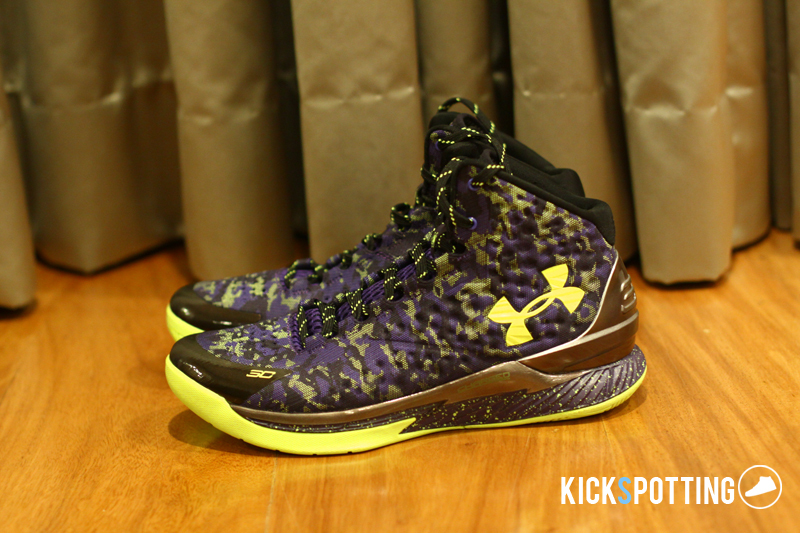 We’re back again this time with the Under Armour Curry One. Steph Curry has just been named this season’s MVP and his first signature shoe is putting up MVP buzz as well with each release flying off the shelves. With new technology like anafoam and charged cushioning introduced into the Curry One, the shoe shows a lot of potential on court. Let’s get to it! The Curry One introduces its newest technology in cushioning called Charged which is basically another layer of foam added to the Micro G setup which we all know works so well. The addition of Charged is described as an adaptive foam that stays soft while standing and becomes firmer and responsive when you’re on the move. Right off the box the cushioning feels good. Nothing too soft or too firm but just right. Compared to the Clutchfit Drive, these were a bit firmer while the Clutchfit had an instant bouncy feel to it. On court I really liked how charged cushioning felt. It wasn’t as bouncy as what I felt with the Clutchfit but they provided overall comfort, great court feel, and responsiveness. That firmness helped in cuts, sudden stops and change in direction, taking away that lag while still being comfortable. I didn’t feel any pain in all my runs and that tells you this setup works. Overall, Charged cushioning feels more stable than the Clutchfit setup but both are great to play and I love both setups. Another new technology introduced here is what they call Anafoam which is a lightweight synthetic material molded with foam which is thicker in areas that need more support and thinner in stretch areas. They have a certain canvas-like feel to it but it’s soft and non-restrictive. They fit true to size but I think wide footers can go half a size up for comfort. Compared to the Clutchfit material, Anafoam has more structure to it, adding to the stability and support of the upper. It doesn’t really need any break in time and the fit just gets better after each run as the material starts to mold to your foot, giving you great fit and lockdown. The shoe wraps around the foot very well around the midfoot, keeping your foot in place at all times. An external TPU heel counter also works well to keep your foot from moving. I didn’t feel any movement at any time and I felt secure during all my runs. Padding around the ankle area on the inner lining adds comfort and gives your ankle a good hug which really feels good while you’re playing. As mentioned above, Under Armour introduced their latest technology called Anafoam which is a lightweight material with molded foam that’s build for added support in key areas where you need it most. It’s basically mutiple layers of mesh that looks stiff from the outside but really it’s soft on the foot and moves around without being restrictive but still providing enough support and stability. The Clutchfit material acts more like a second skin and wraps around your foot better while Anafoam serves as a more supportive structure without hindering your movements. 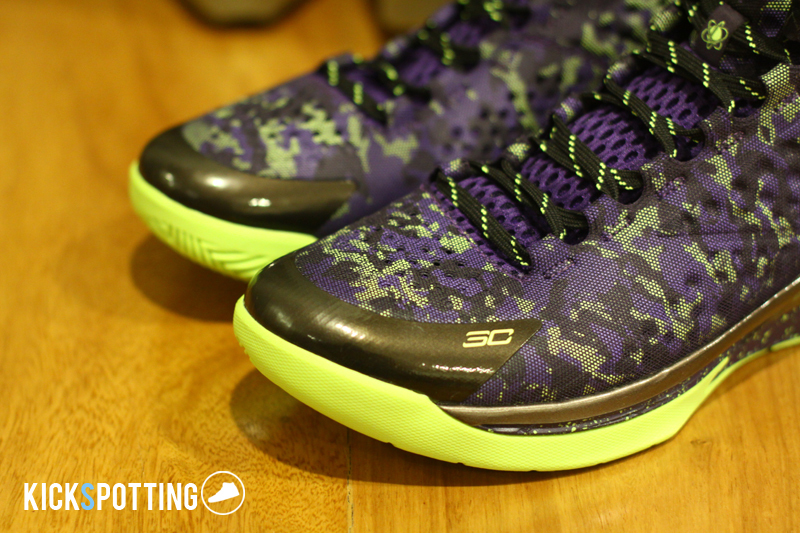 Love the materials on this one and you won’t really feel them while you’re on the court which is a good thing. 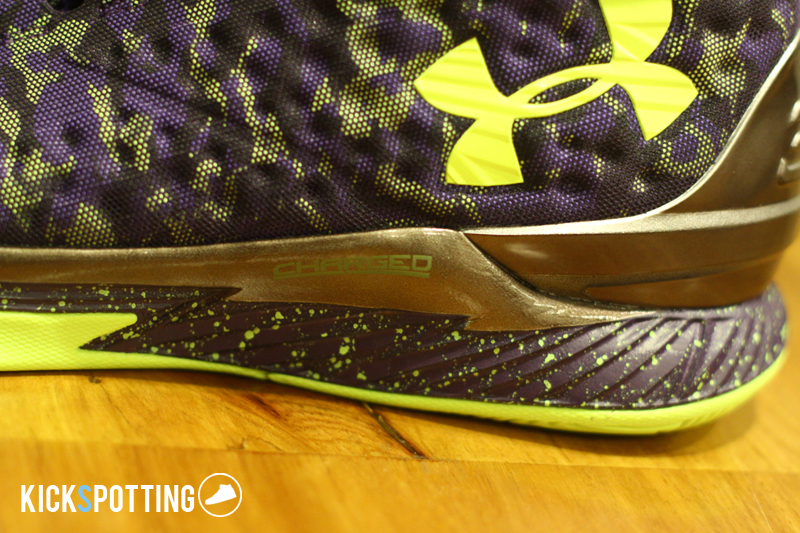 If it ain’t broke…The Curry One uses the same traction setup that we saw on the Clutchfit drive which was multidirectional herringbone. 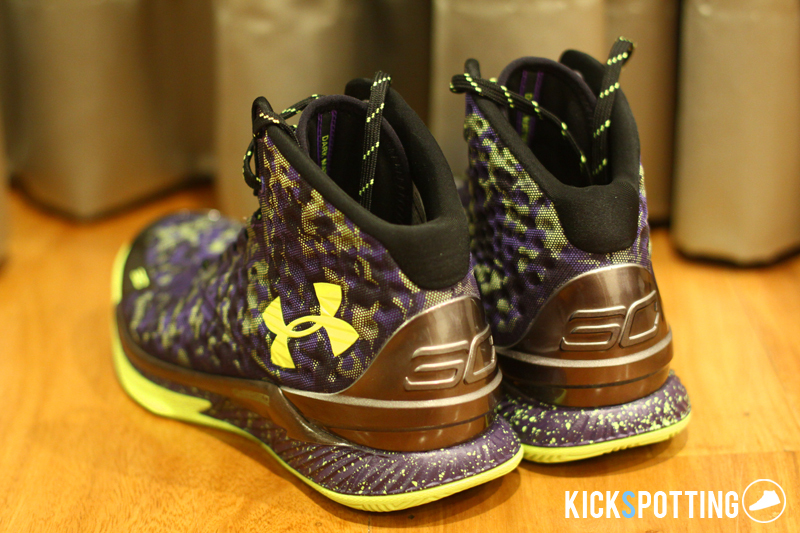 It was good on the clutchfit and it’s still good on the Curry One. Solid traction overall and I didn’t experience any slipping on all my runs. You can do your cuts, stops, and direction changes with no problem at all. It’s good that Under Armour stuck to what has worked for them on previous models and didn’t try to experiment on a new pattern or try to tell a story with the outsole design. The materials are tried and tested and I’m happy with it. Main support comes from the fit and the new Anafoam material. 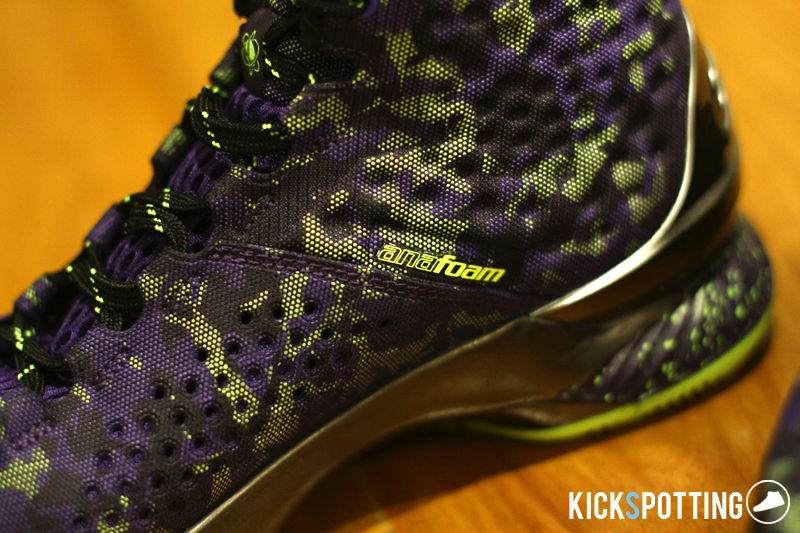 You get great lockdown at the midfoot area plus the external heel counter keeps your foot in place at all times. The height of the shoe works well as it wraps around your foot very well without restricting movement and you won’t feel any pain even if you lace them up tight. Charged cushioning also adds to the overall stability and support and keeps your foot always in the right place on your landings. The midfoot shank provides adequate torsional support as well and the presence of an outrigger also adds to the overall support. The Anafoam features good stability while molding to your foot after multiple runs for better fit. 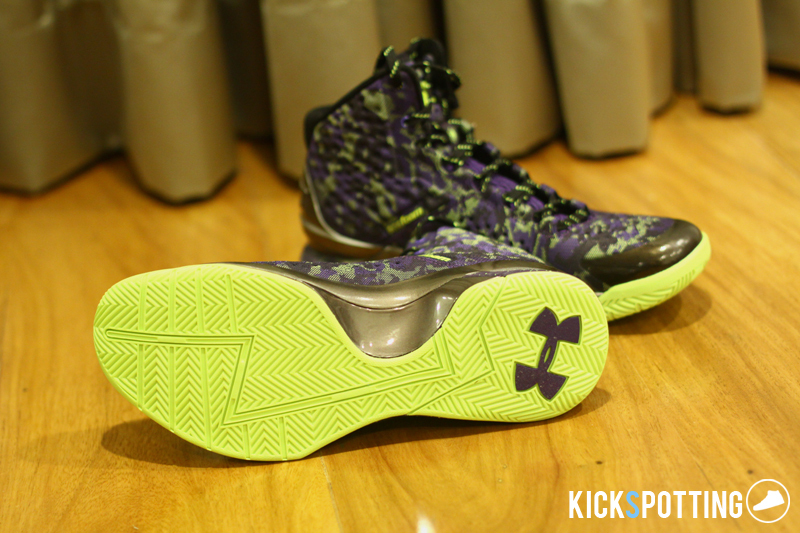 The Curry One has everything you need in this department and provides solid support overall. The Curry One is a solid performance shoe overall and those who love the Clutchfit will surely love playing in these as well. 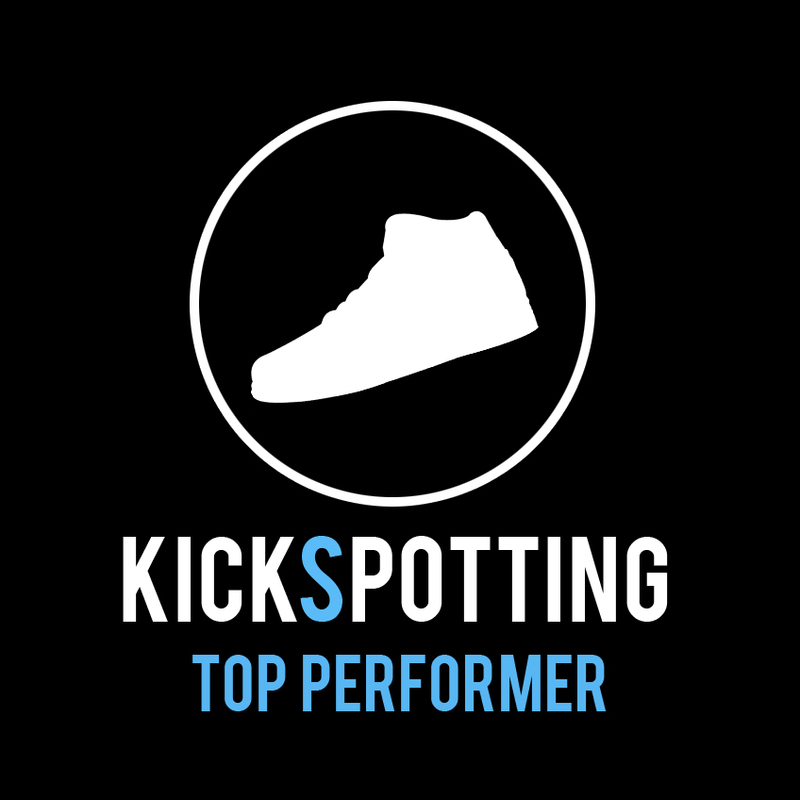 It has solid cushioning, great fit and lockdown, responsive and very comfortable. Under Armour did a great job in keeping what works well in previous models while adding new elements for an overall solid experience. The Curry One should be perfect for guards to love to play quick and utilize a lot of cuts and directional changes in their game. It is also supportive enough for the bigger players to enjoy as well. 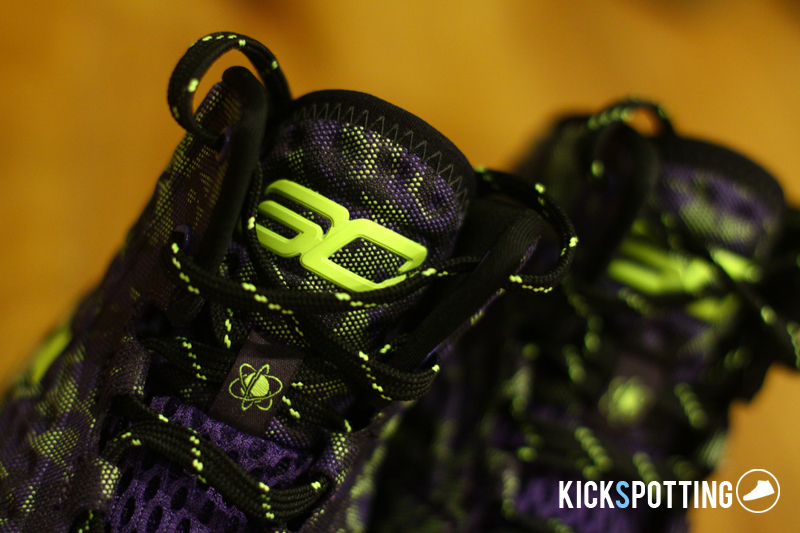 A very good start to the Curry signature line. If you’re looking to cop a pair it would be best to check the Under Armour online store and also keep checking back for our updates on local releases. These babies don’t hang on the shelves too long. They retails for $120 and P7,995 locally. 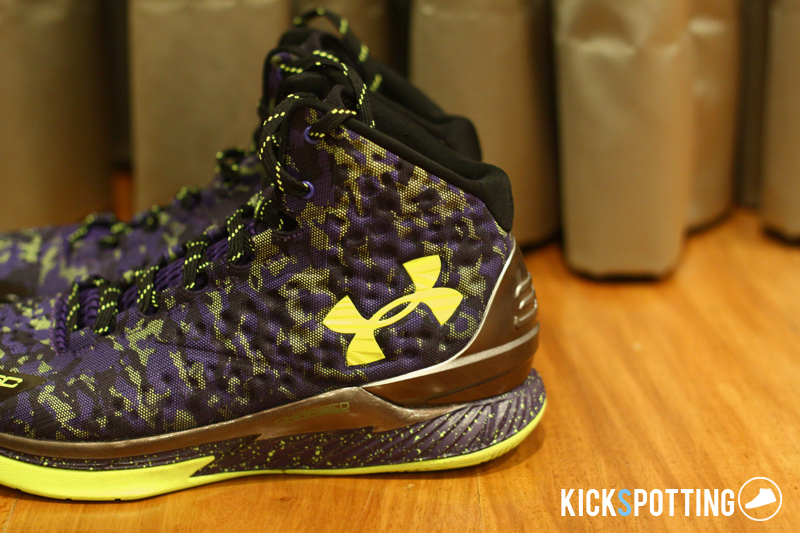 Another solid shoe from Under Armour. 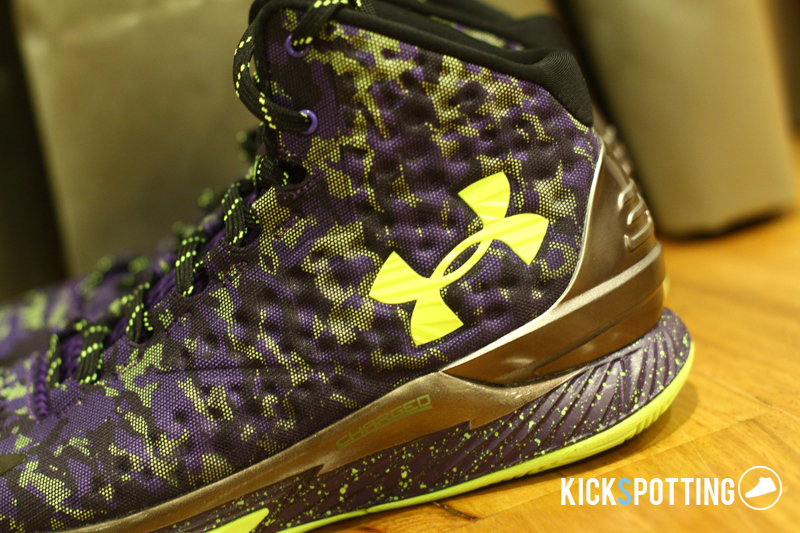 The Curry One is a top performer on court and they look good too. Panu po mag order?? San ako dedeposit? Sorry, we are not a store sir.